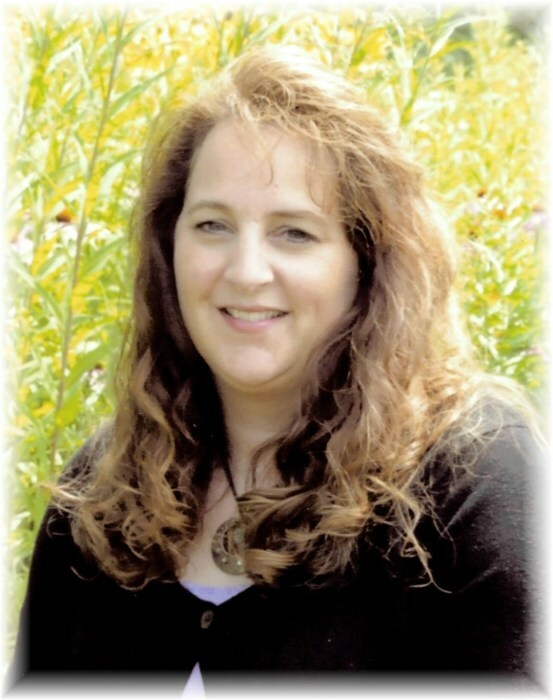 Lynn Nelson, age 53 of Nelson, MN passed into her new life on Tuesday, November 20, 2018 at the Alomere Hospital in Alexandria, MN after a brave battle with cancer. Lynn Marie Zins was one of Bernard and Mary (Santer) Zins fourteen children and was born on August 14, 1965 in Alexandria, MN. She graduated from Osakis High School with the Class of 1983 and furthered her education by attending St. Cloud State University for a degree in Environmental Studies. She married the love of her life, David Nelson on August 29, 1987 and they made their home in Minneapolis, MN. They both worked for Braun Intertec where Lynn was employed as an environmental scientist. When the opportunity arose to return home, the Nelson’s moved to a place just outside of Nelson, MN. Lynn so enjoyed being back in the country and watching their two daughters grow. She was hired by the Sauk River Watershed District and had been working for them since 1994. Lynn was busy in a variety of activities. Most of all, she loved being a mother, doing things with her daughters and going on family vacations. Snowmobiling and fishing were other past times she enjoyed. She always loved to dance. There wasn’t a family wedding where you couldn’t find her out on the dance floor. Lynn enjoyed photography and captured beautiful pictures of her family and flower gardens. She also took many great photos of area wildlife. Having grown up as a voracious reader, Lynn continued to love the written word and used her writing skills to work on an unpublished novel. She was a kind and caring person who always looked to the needs of others before herself. Her optimism was contagious and she brought a gentle kindness to all those who were blessed to know her. She will be dearly missed and lovingly remembered. Lynn will live on in the hearts of her family, especially her husband David Nelson of Nelson, MN; her daughters, Sarah (Lucas) Schoeberl of Litchfield and Hannah Nelson of Nelson; her mother, Mary Zins of Osakis; siblings, Daniel (Linda) Zins of Osakis, Kathy (Richard) Hagen of Glenwood, Cindy Houff of Osakis, Denice (William) Klimek of Osakis, Richard (Kim) Zins of Glenwood, Alan (Cindy) Zins of Sebeka, Karen (Keith) Nelson of Alexandria, Kay (David) Verkuilen of Little Falls, Dale (Jenna) Zins of Nelson, Dean Zins of Osakis and Dave (Ruth) Zins of Glenwood; many nieces and nephews. She is preceded in death by her father, Bernard and brothers, Michael and Mark Zins. Visitation hours are from 4 – 8 pm on Sunday at the Alexandria United Methodist Church in Alexandria, MN. Funeral services for Lynn will be on Monday, November 26, 2018 at 11:00 am at the Alexandria United Methodist Church with Pastor Gary Taylor officiating. Musicians are Gayle Maxwell and Dana Hetland. Interment is at the Pleasant Mound Cemetery in rural Carlos with her brothers, Daniel, Richard, Alan, Dale, Dean and Dave Zins as casket bearers.